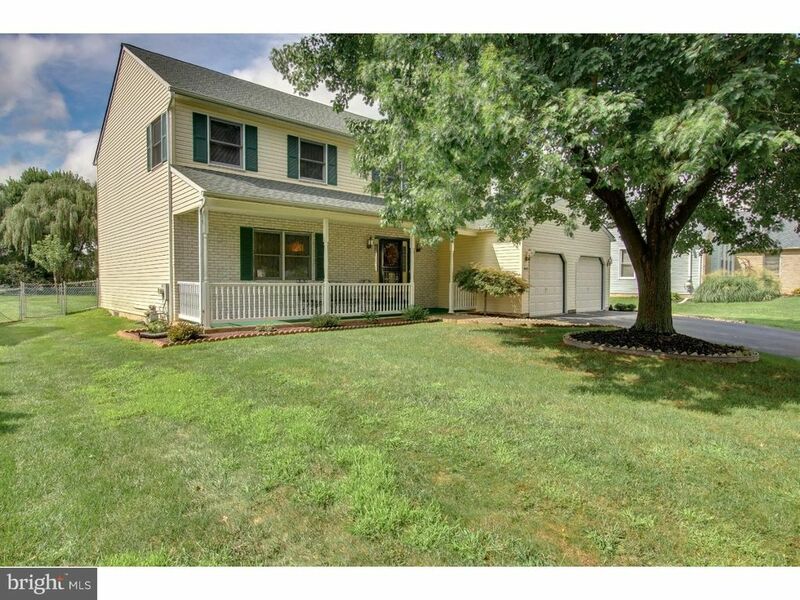 Beautiful partial brick front colonial in Hilltop Village. Large covered porch and decorative front door with side light panels leads into the foyer, which flows into the formal living room with neutral walls and carpeting. Formal Living Room leads into Formal Dining Room and continues the neutral decor.Kitchen has stainless steel dishwasher and gas range/oven.Spacious eating area off kitchen has sliding glass door which leads to large Stained pressure Treated Deck.Half wall from eating area opens into Family room with masonry brick fireplace.Second floor features large Master Bedroom which is spacious and neutral with ceiling fan. Master Bath off Master bedroom with neutral tile.Three additional bedrooms, all with ceiling fans and 2nd floor laundry room and hall bath completes the second floor. 2 Car attached garage. Full finished basement with extra foot of height in basement. Beautiful, large fenced-in rear yard! Additional improvements include a GAF Timberline Roof installed 3/19/14.LENNOX Heater, AC& Hot Water Heater installed 9/12/14. This is a clean, well-cared for home!